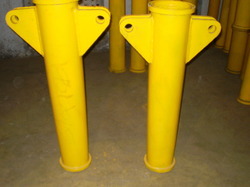 Leading Manufacturer of pipe reducers, concrete pump pipelines and concrete pump pipline from Thane. Being a quality centric organization, we are counted among the prominent wholesalers and retailers of comprehensive range of Reducer Pipes. 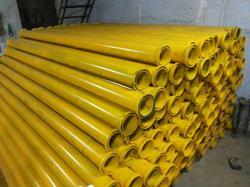 Our pipes are designed and developed strictly in accordance to the international quality standard policies and norms. These pipes are available in different sizes and dimensions and can be customized in accordance to the client’s requirement. These pipes are light weighted, require minimum maintenance and offers longer service life. With our dexterous engineers and efficient research and development team we have come up with Concrete Pump Pipeline. These are made using high grade metals that are procured from authentic vendors. Further, our quality inspectors test these products on various parameters using latest technologies to ensure their adherence to the set industry standards and norms. We also accept bulk order for the product and ensure its timely and safe delivery for which we are linked to some of the best logistics in the industry.